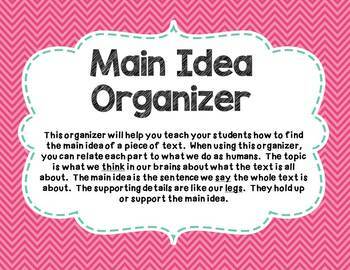 This product will help you teach main idea and supporting details to your students. 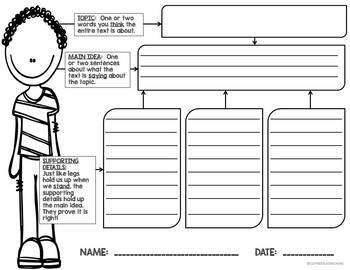 It scaffolds the concepts having them move step by step through the skill. Students can use this resource to identify the topic, main idea statement, and the supporting details of a text. There is an option for 2 and 3 supporting details. Opens in a pdf format.